This year we will be doing something that we’ve never done before, the women of the NCDA are finally getting the recognition they deserve. There are many talented ladies in the league, as showcased in the Lady’s match at nationals the past couple of years. Every season the match grows in number and talent. The women on this list are not to be taken lightly and are dedicated members of the squads that they represent. Without further delay, the 2016-2017 Women’s All-American Team! 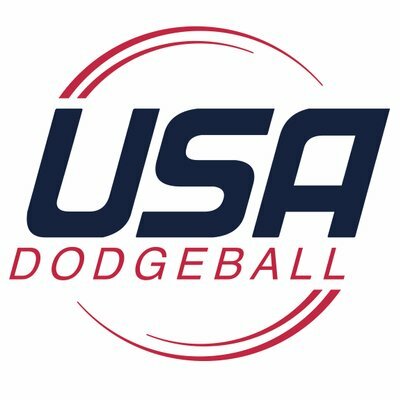 The first ever 2017 Women’s College Dodgeball MVP goes to Penn State’s Sami Beining! 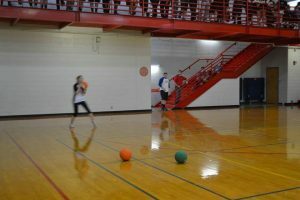 I think it is very safe to say that everyone, and I mean everyone, knows what she is capable of on the dodgeball court. Even with limited appearances from Penn State, she has made a name for herself in her dodgeball career. The best example of her ability came against SVSU at this past Nationals. In one point she managed to pull off 3 consecutive headshots against a very talented Cardinal team using her signature softball style throw. The scariest part is she still has more time in the league. Expect her to continue to be a big discussion point next year for PSU. Sam Saccareccia is the former Kent State alum and founder of the University of Akron dodgeball club. She has a wicked cross and out of nowhere catching abilities that will catch even the most veteran players off guard. 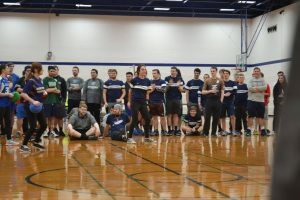 She helped build the abilities of Akron’s overtime six who have only lost one match in OT, and she is credited as the first president and captain of the Akron Dodgeball Club. Sam has been busy as of late and wasn’t able to appear at nationals, but she really does make a difference for the Zips. Treanna was one of the Falcon’s captains for the 2016-2017 season, and she really got to demonstrate her skills and leadership that she possesses. She has a throw that will catch you off guard, and catching abilities that will make you take a second thought about throwing at her. She will be back next season and will surely make an impact of the increasingly successful Bowling Green squad. 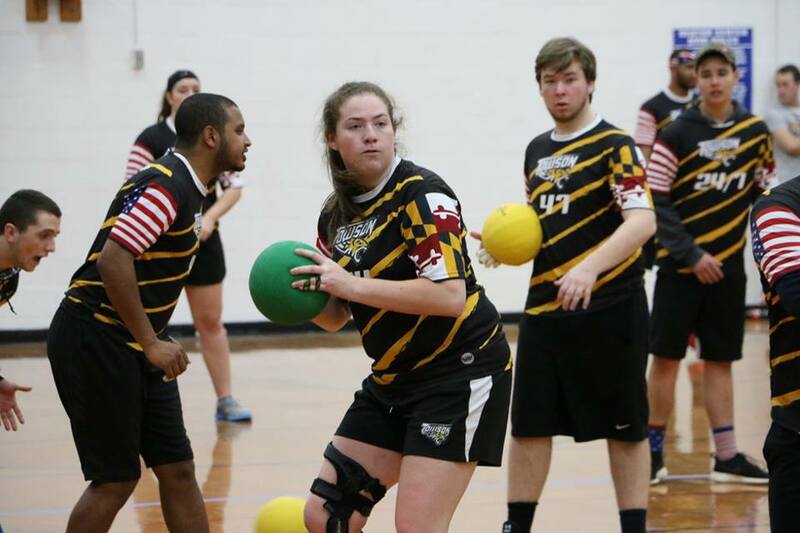 Sidney has certainly made a name for herself during her time on the Towson team. A skilled thrower and catcher, she can compete against anyone and any team. She also has great leadership potential and is well respected for the contributions she makes for Towson. Next year she will be serving as President for a team hoping to win the National Championship. Becca was certainly one of the most respected female players of this past season. She is an excellent catcher who has great court awareness and does a great job of reading and adapting to any situation in game. Next year she will be serving as President of this past season’s Final Four contender. She has a lot of passion and motivation to get things done, so expect some big things from her next year as well. Sorry for the blurry picture, but this demonstrates her skillz. Maddie is dope. She can catch like nobody’s business and will stare you down afterwards. Maddie’s biggest weapon is the fact that she sometimes appears apathetic or unamused on the court, letting her mind wander as she thinks of other things. What she’s actually doing is making herself a target. A target that’s going to catch your ball in the most clutch moment and smile afterwards. I’ve never talked to Maddie about this or asked if this is her technique, but coming from someone who’s been caught by her multiple times in practice, it sure as hell seems that way. Cassie Weaver has really honed in on her skills since she was voted to become a captain of Kent State for the 2016-2017 season. She is credited for earning catches against some of the league’s strongest arms, which is an impressive feat for any player. 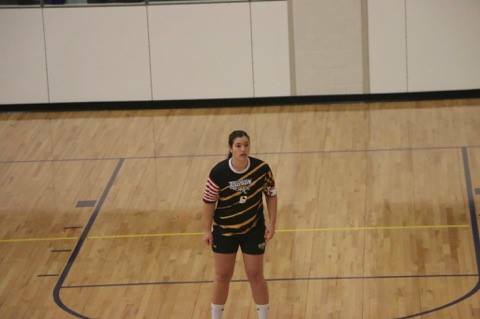 She is very vocal for the Golden Flashes and is a great leader for them, calling out plays and directions for her team. Look out for her to take more of a physical role for next season as she increases her abilities with every match she plays. Sami is a well known player for the Bowling Green squad, she is as friendly off of the court as she is feisty on the court. She has grown into a thrower this season and continues to improve with every match she’s involved in. 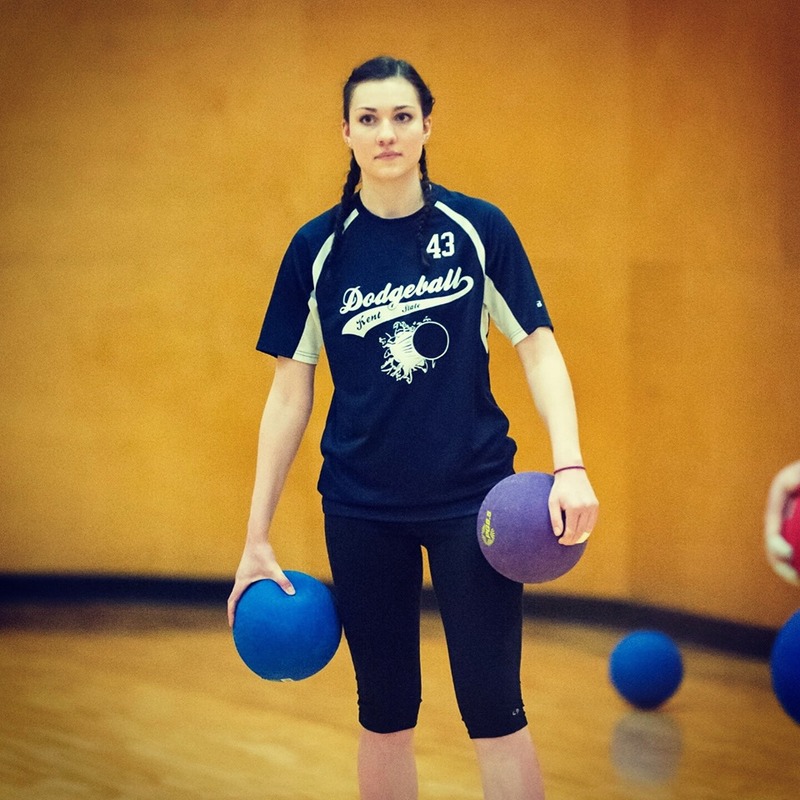 She can catch, throw, block and intimidate most players she comes up against. She showcased her abilities in the ladies’ match and showed us all why BGSU will be a strong contender next season. Rachel has been a member of the Wildcats team for 3 seasons and has consistently been a team player and contributor. 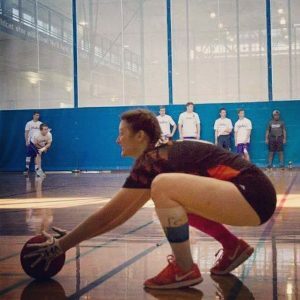 Whether she was on or off the court she provided any type of support she could. What stands out the most about her is her court awareness and being able to recognize game situations very well. Over her 3 seasons she traveled to every away tournament and made big plays in many different situations. 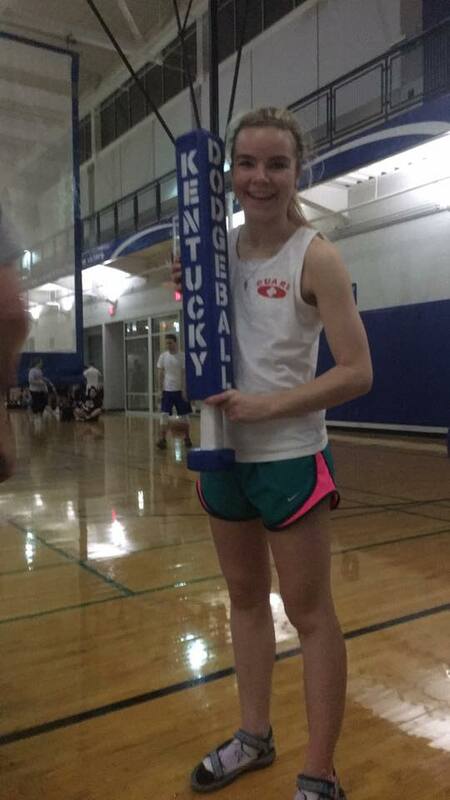 Without a doubt, UK will be missing an important player next season in Rachel. Hannah was a member of the 0-29 Ohio University Squad and it obviously didn’t sit well with her. 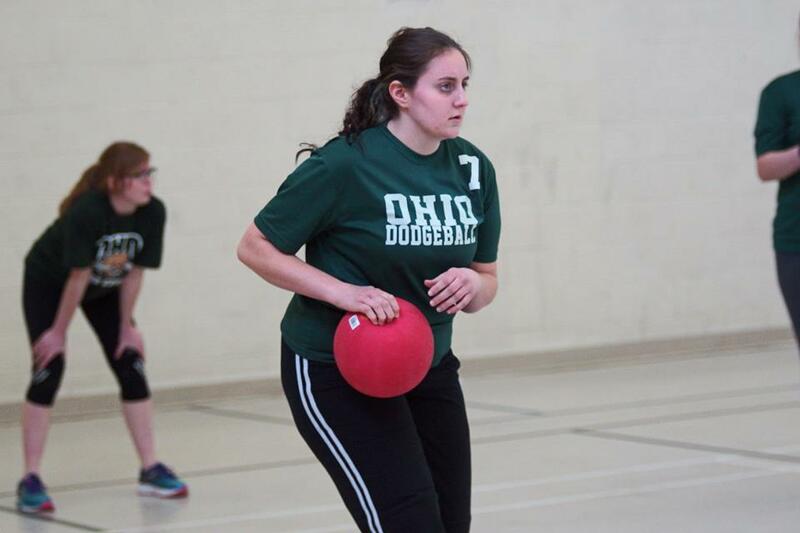 She became a straight up-baller over the summer of ’16 and helped the Bobcats to their impressive showing as they became the 2017 Ohio Dodgeball Cup Champions. 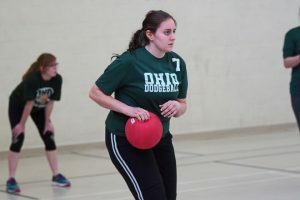 She has improved her abilities tenfold and come along way since last season, earning much respect from the other Ohio teams and the others who were fortunate enough to play against OU. She continues to improve every time I see the bobcats. Look out for her next year. 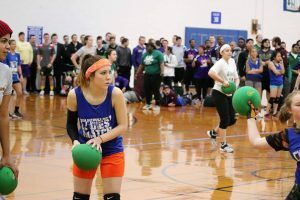 There are so many thoughts that come to mind when describing Jensen’s dodgeball abilities. She’s multidimensional. First, she throws you off with her softball throw that hovers just a few inches off the ground. On top of her throwing ability, throwing back at her will likely result in a stroll to the sideline. Jensen plays on both ends of the court with ease. While both of those are certainly noteworthy attributes, the word that sticks out in my head is “clutch”. Time and time again, when we were in need of a big play to shift momentum, Jensen would find herself in the right spot at the right time. Jensen had a knack for making a big catch to shift momentum in so many games this year, often times leading the way to victory. 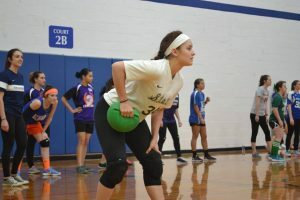 Thankfully she was given an opportunity to show off her ability in the ladies match this year, as she is a player that teams should be on the lookout for in the future. Don’t take this girl lightly; there’s a good chance she’s a lot better than you. 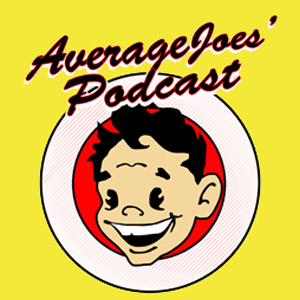 Janna rounds out the ladies from BGSU that made the list this season. Janna has a unique style of play and has adapted to her role on the very impressive falcon team this year. She is underestimated on the roster, which I believe is her greatest strength. Many others take her for granted, which makes her a weapon for BG. 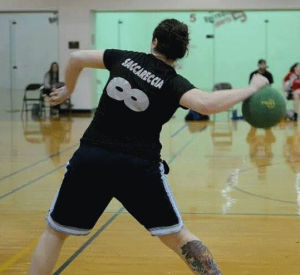 She has great court awareness, catching and throwing abilities, and flies under the radar. If you underestimate this one, you may be taking a walk to the out-line if you’re not careful. Perhaps what stands out the most about Nicole is both her mental and physical toughness. She’s always willing to stand in and make a catch for her team when they need her to and did so on many occasions this season. 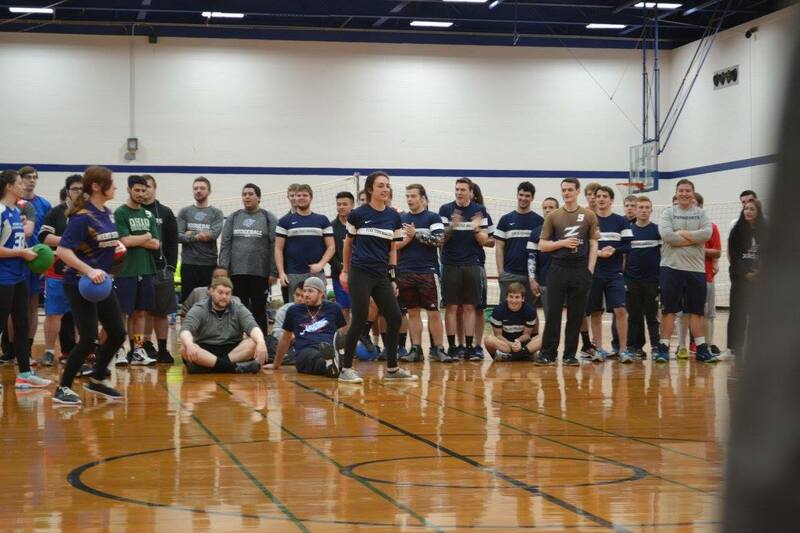 The most defining moment of her toughness came during the War at Akron University. 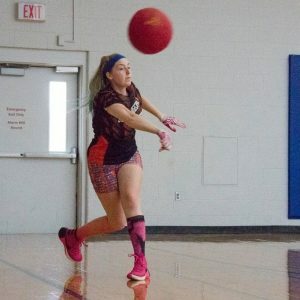 During the tournament, she broke her wrist, continued to play the rest of the tournament, and then came back two weeks later to compete at Nationals. I guarantee 95% of the people in our league would not do the same thing even if they were paid. She’s a true competitor who makes the Nittany Lions’ roster better. 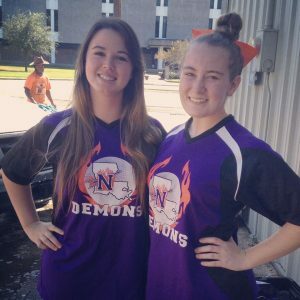 Northwestern State made it to their first NCDA tournament in quite a few years. 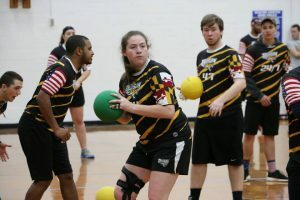 While some were unsure about how they would perform, some were pleasantly surprised by a few of their players, Katie included. 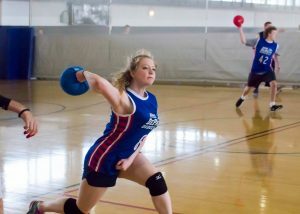 She had some key plays for the Demons at Nationals which impressed quite a few people, myself included. Congratulations to your 2016-2017 Women’s All-American Team!